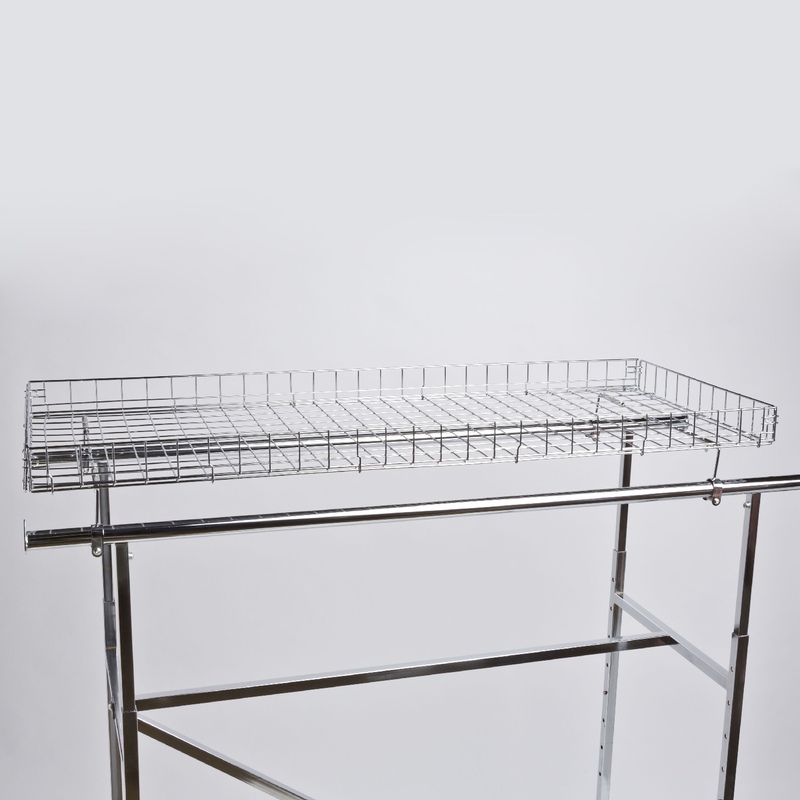 Do you want a rack built with strength and durability in mind? 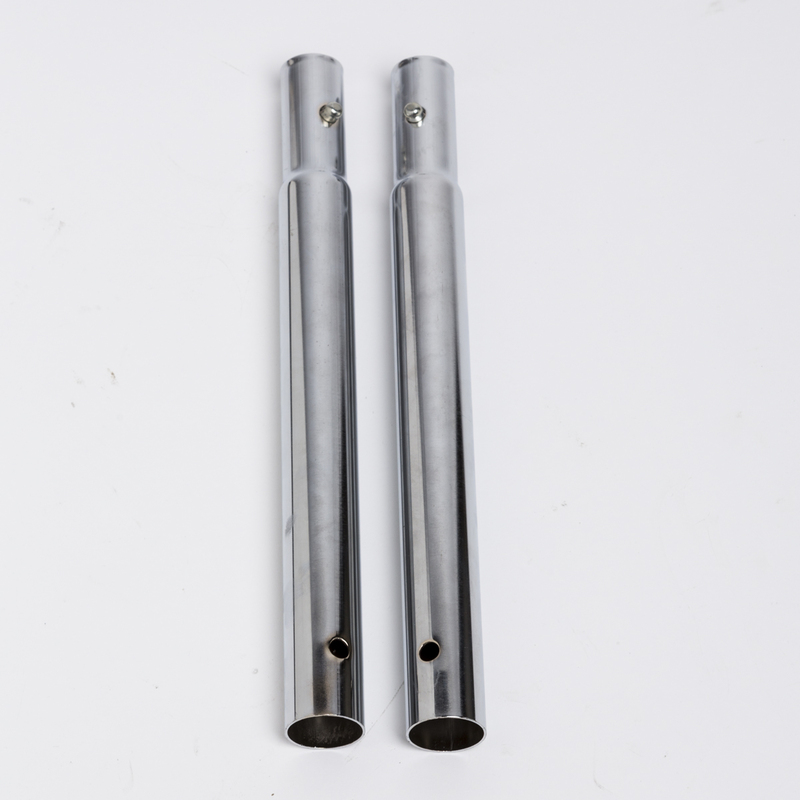 You won’t find a better product anywhere else. 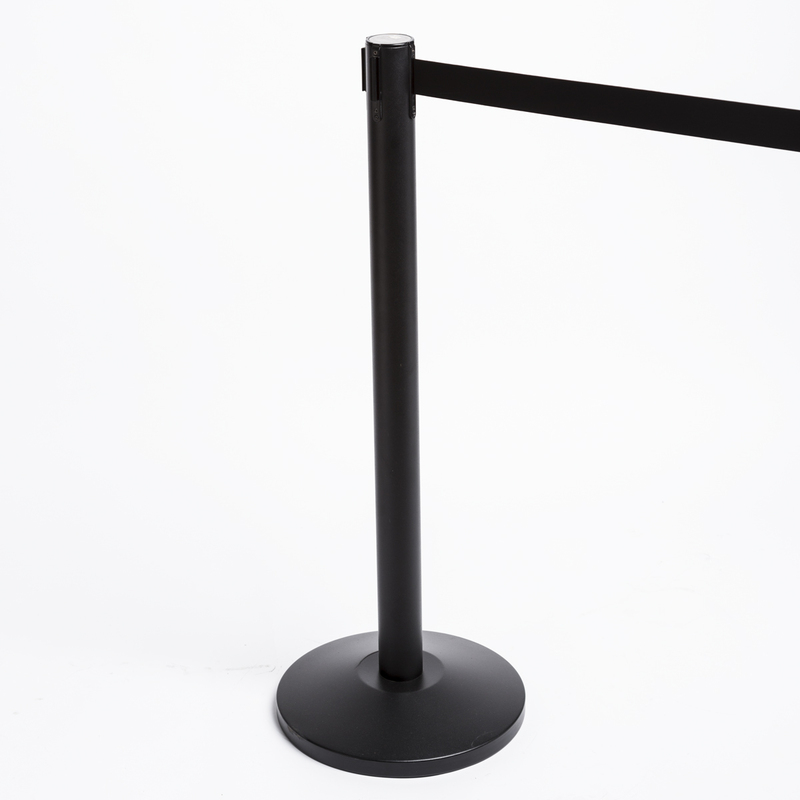 It is constructed of heavy duty square tubing and is ideal for heavier merchandise, such as coats or long dresses. 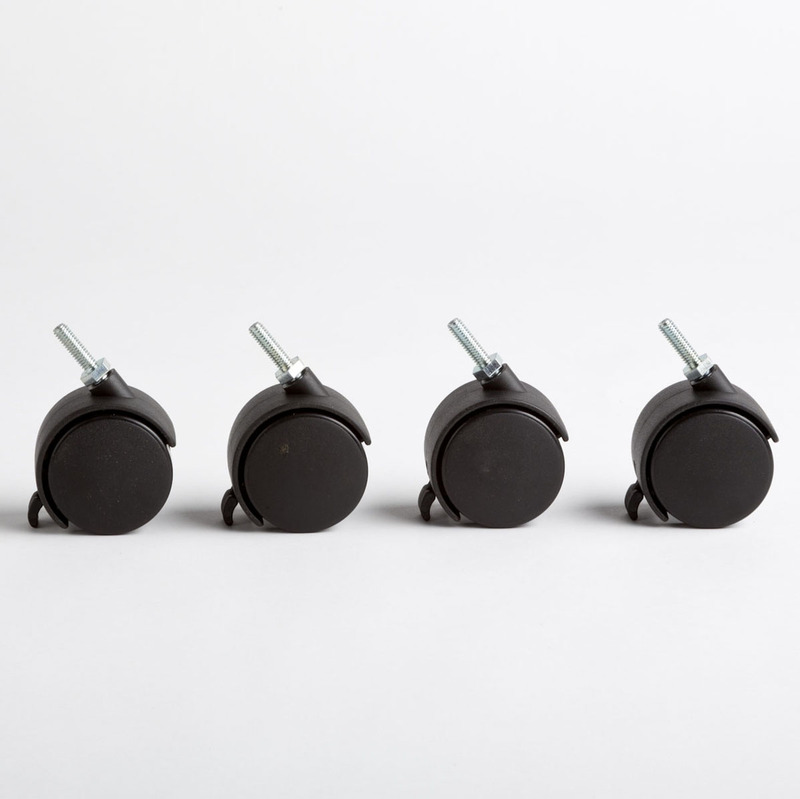 It features 4 heavy duty caster wheels for ease of mobility on all surfaces, which is great for moving items from the backroom to the storefront. 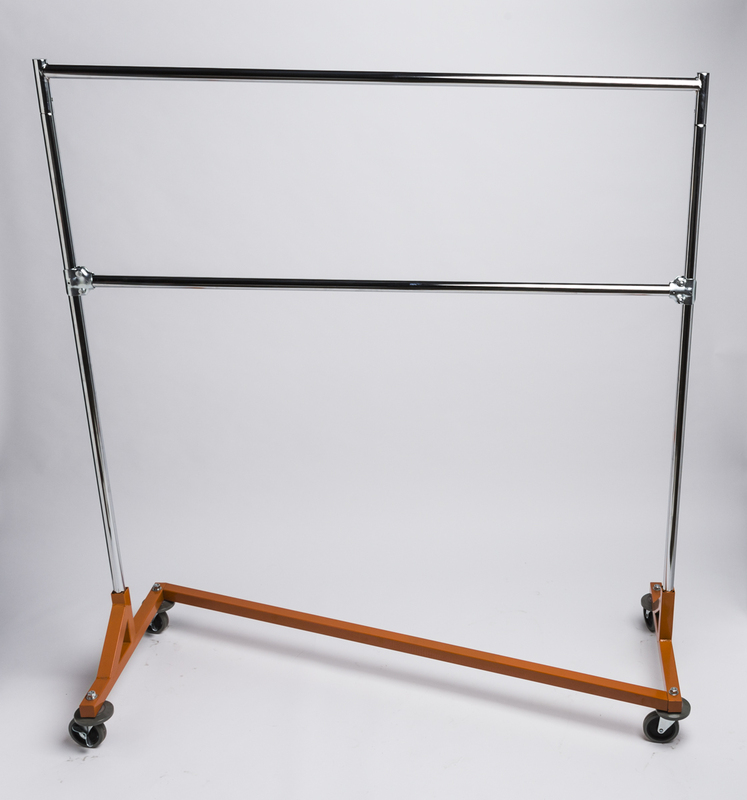 It can hold over 300 pounds and you can increase the height of the rack with our Rack Height Extensions. Need more hanging space? 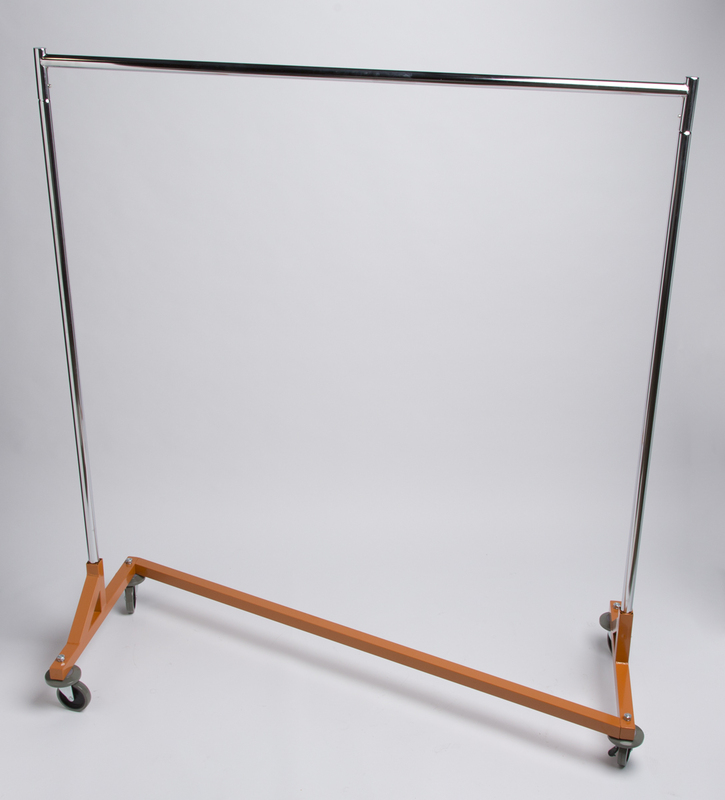 Check out our Z-Rack Double Hang Rail Bar. 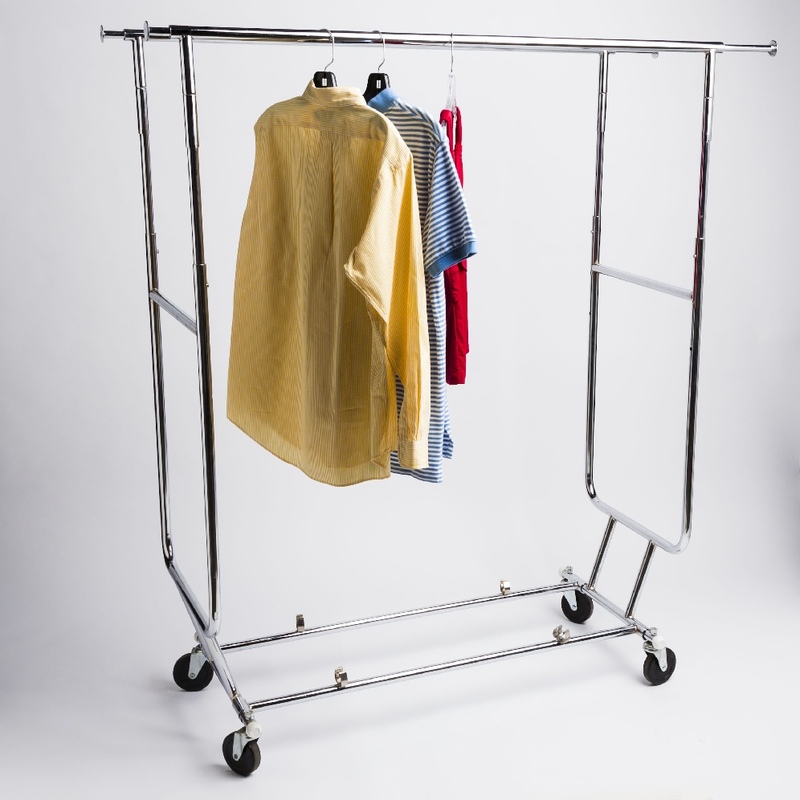 It adds an extra 57 inches of hang space to your Z-Rack. 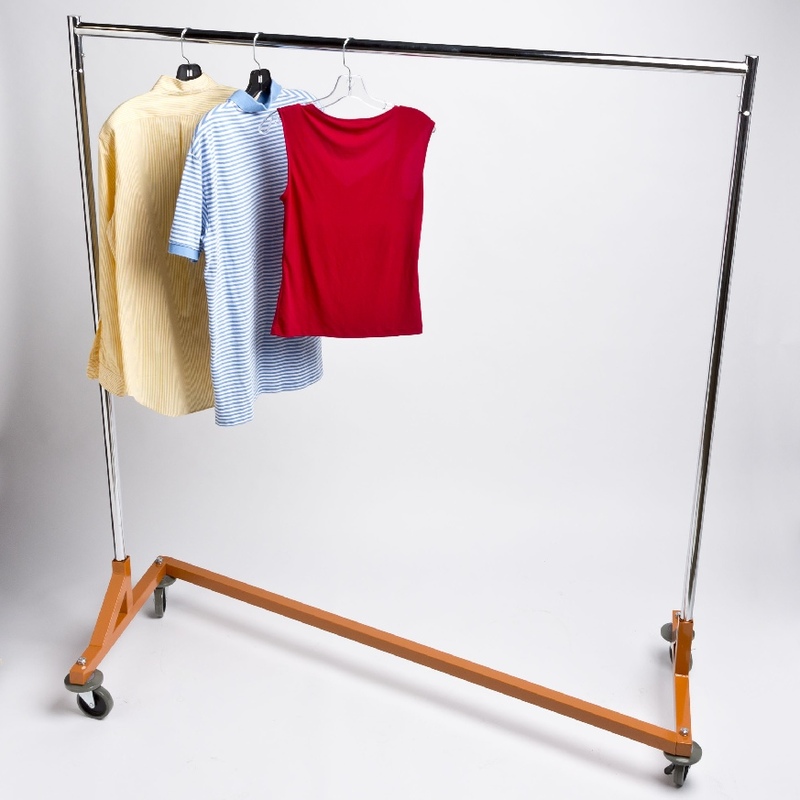 Be the first to review “Heavy duty Z Rack (Orange base)” Click here to cancel reply.